This is one of the rare occasions when I might actually contribute something--though I fear it is superfluous now--to the discussion of this list serve. 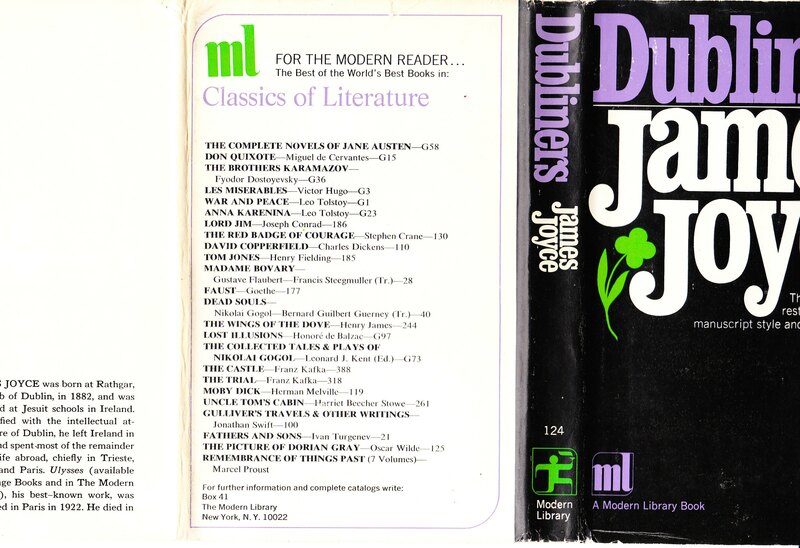 I indeed own and use as my reading copy of _Dubliners_ the smaller format 7 1/4" Modern Library copy of the definitive text. I attach jpgs of the jacket. I have not looked at other printings of this work. I remember buying this volume in 1970 or so (in North Carolina) because Viking had issued the revised text, apparently, in paperback form only and I thought I would need a more permanent book. The Modern Library edition was slightly smaller, more durable, and sewn in 32 page signatures compared to the Compass Viking paperback. It appears to be an offset of the letterpress paperback edition. I have not done a collation. I thought it odd that the Modern Library did not also issue _A Portrait of the Artist as a Young Man_ simultaneously since the definitive texts of both these works appeared at about the same time. However, _Portrait_ may have sold better and Viking may have wished to retain the royalties. I do own a hardcover, sewn, cloth covered Viking _Portrait._ Early printings of the paperback of _Portrait_ were also sewn. In 1969, Giorgio Joyce, James Joyce's son, a musician and an alcoholic, was still alive. He may have affected the publishing arrangements, for he depended in part on royalties from his father's work for his living. His sister Lucia was in a mental institution; her care put a strain on the Joyce estate's resources. Giorgio died in 1976, Lucia in 1982. Joyce's wife Nora had died in 1951). Currently Stephen James Joyce, Giorgio's son and a rebarbative individual, sometimes interferes on these issues. 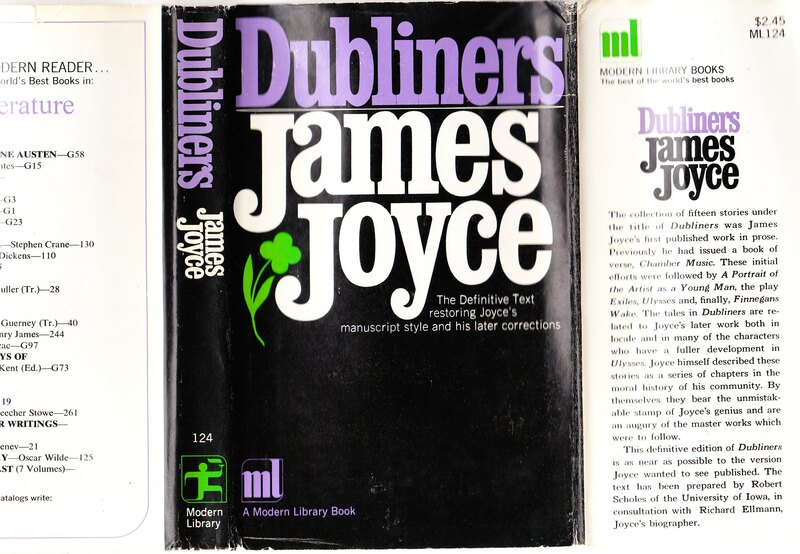 The ambiguous status of later texts of _Ulysses_ and the subsequent reissues of this work are matters lawyers for Giorgio's son in New York monitor closely enough (as I have reason to know having published a facsimile of the 1922 first printing in 1998). Doubtless this strays far afield from the interest of this group, but perhaps it all is of some interest.